A long range upgrade of the earlier twinjet Falcon 20/200 family, the Dassault Falcon 50 was especially designed for trans-Atlantic and transcontinental flights. With very short runway requirements, the Falcon 50 can access the great majority of airports while luxuriously servicing a maximum of nine passengers. With the success of the previous Dassault Falcon jets, it is no wonder that Dassault Aviation decided to press on in the business jet market. 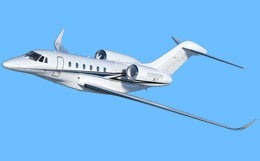 Designs for the Falcon 20 were built upon and improved, and the Dassault Falcon 50 was introduced. 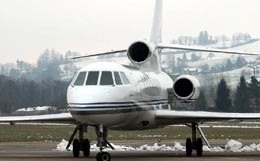 The first prototype of the Falcon 50 was flown on November 7, 1976 and the private business jet received French airworthiness certification on February 27, 1979 followed closely by U.S. FAA certification on March of that year. By the time deliveries began in July of 1979, the wing design had been modified to incorporate a supercritical wing design. With the release of the Falcon 50, Dassault Aviation became the first corporation to create a private jet with intercontinental range. Production on the Falcon 50 started in 1977 and ended in 1996. 250 aircraft have been built so far. The Falcon 50 is generally configured to accommodate eight to ten patrons, but it can be arranged to accommodate a maximum of nineteen passengers. The roomy cabin of the Falcon 50 measures 23.5 feet in length, stretches 6.1 feet in width, and reaches 5.9 feet in height for a comfortable total cabin volume of 700 cubic feet. Fourteen windows surround the cabin, contributing to a light environment. With a maximum differential pressure of 8.7 psi, the Dassault Falcon 50 is capable of maintaining a sea level cabin altitude up to an altitude of 26,100 feet. A two zone temperature regulation system is in place, utilizing bleed air from the center engine to provide a comfortable cabin environment. The Dassault Falcon 50 utilizes three Honeywell TFE731-3-1C turbofan engines. These powerful engines are rated at 3,700 pounds of thrust per engine. Each engine uses a separate fuel system of just over 5,000 pounds of fuel which adds up to an impressive total of 15,520 pounds of fuel, allowing the Falcon 50 to fly nonstop for seven hours while still meeting FAA minimum fuel reserve requirements. These engines feature a combined fuel consumption rate of 2,100 to 2,200 pounds of fuel per hour, making the Falcon 50 an attractive economic option as well. This private business jet features a maximum certified service ceiling of 49,000 feet and an impressive intercontinental range of 3,100 nautical miles. 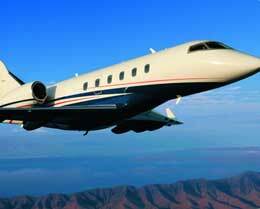 The Falcon 50 requires 4,700 feet of runway to take off and needs only 2,150 feet of runway to land on a standard day. This private business jet is capable of climbing to an altitude of 39,000 feet in just thirty minutes. The Falcon 50 can fly at an impressive 468 knots at an altitude of 37,000 feet in a high speed cruise configuration for a swift flight. In a long range cruise configuration, the Dassault Falcon 50 is capable of maintaining 410 knots at an altitude of 43,000 feet. The avionics system of the Falcon 50 include an ADC 80 air data computer, a Collins FCS-80F autopilot computer, dual VHF comm and nav radios, a Primus color weather radar, DME measuring equipment, and a radio altimeter. For more information about chartering, leasing or buying a Falcon 50 please contact us by calling +44-20-3874-8091 or send us an email here.